It must be every producing theatre’s dream to have a book set a few miles away become a bestseller. Keswick’s Theatre by the Lake has had just this good fortune, and has wasted no time in adapting James Rebanks’ 2015 sleeper hit The Shepherd’s Life for a world première in its main house. Chris Monks’ adaptation expertly picks out two threads from the book, combining a family saga, focusing on three generations of Matterdale shepherds, with a guide to the shepherd’s year. The challenge of conveying the landscape just outside the theatre is triumphantly met. The fell silhouettes of Martin Johns’ set are beautifully lit by Andrew J. Lindsay’s ever-changing sky designs. The seasons’ changes enter the theatre through Jonny Walton’s films and Neville Bull’s video design. 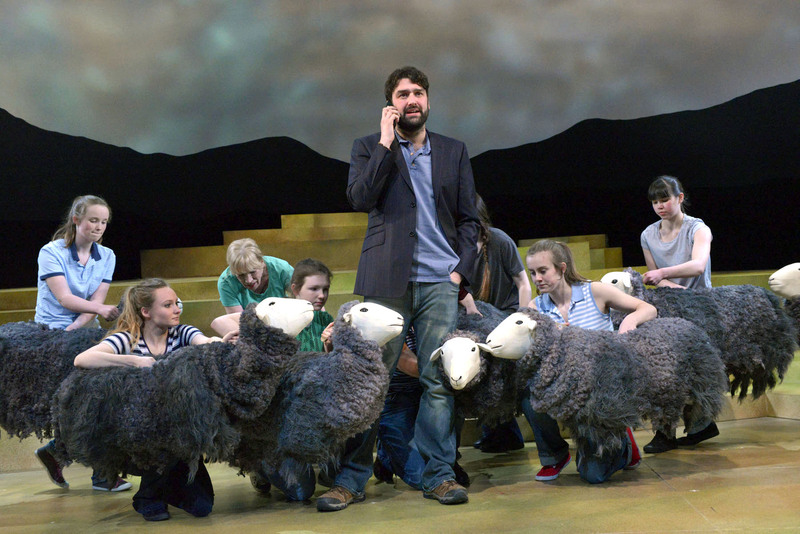 Just as important as this authentic sense of place is conveying the realities of the work, and Jimmy Grimes’ puppet sheepdogs and flock of sheep (the latter operated by a well-drilled community cast) are an essential ingredient in the show’s success. Kieran Hill as the narrator, James anchors the show with an easy-going charisma. Martin Barrass gives a masterclass in less-is-more acting as his taciturn father Tom, and David Fielder’s curmudgeonly grandfather Hughie provides laughs and pathos. Powerful women (including Beatrix Potter) are brought to life by Catherine Kinsella and Janine Birkett. This skilled ensemble of actors and puppeteers gives us a whole way of life, including some impressively matter-of-fact sheep shearing, over several generations.